A few people I know had the same idea last and hied themselves over to the Neil Simon Theater on West 52nd St. to see a preview of Sting and Joe Mantello's ''The Last Ship.'' The show, which got raves in Chicago over the summer, started performances last week with a circle around October 26th for its big opening. So funny to spot the other skulkers who came to see whether rumors of the show's seaworthiness were true. They are indeed. ''The Last Ship'' is even in much better shape than when I saw it in Chicago. Writer John Logan (whom I spotted darting about with a clipboard) has significantly changed the show’s opening, beefed up the back story and entry of the main character, Gideon, sung by the stunning Michael Esper. Here and there Sting, director Mantello, Logan, et al have made the right kind of tweaks. Sadly they dropped one song, ''And Yet.'' But they added and re-orchestrated a Sting hit from the 90s called ''All this Time.'' It establishes Esper's character and gives the Sting fans in house a familiar tune before he takes them on a musical journey of new, deliciously composed eminently singable new songs. Some of them are included in the album Sting released last year, including the title number, as well as ferociously catchy ''What Have We Got'' and the gorgeous ''The Night the Pugilist Learned How to Dance.'' The show's perhaps signature ballad, ''What Say You, Meg? '', added in Chicago, is better than ever. But this show is a piece of art unto itself, a real, live proper Broadway musical with Tony Awards in its sights. All the performers have terrific voices. The movements are directed by Steven Hoggett of ''Once'' fame. ''The Last Ship'' is vibrant and serious, and still very funny. 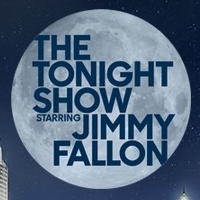 Get back from intermission on time or risk missing ''Mrs. Dees' Rant'' led by Shawna Hamic. Hilarious. All the main cast of star crossed young people - Esper, Rachel Tucker, Aaron Lazar plus young Collin Kelley Sordelet - are outstanding. But I have my personal favorites– Jimmy Nail, so authentic as Jackie, the leader of the shipyard; Fred Applegate. the comic center of the show (and a future Tony nominee) and Sally Ann Triplett. 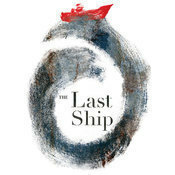 ''The Last Ship'' will keep changing slightly as it tightens up for October 26th. But the nearly sold out audience loved it - I mean loved it. I'm there are some discount tickets on sale before opening night. After that, who knows, because ''The Last Ship'' looks like it's going to be ''on sail'' for a long time to come.